When closed, the 1.3-inch thick shelf won't draw any attention to itself thanks to a wraparound wood veneer that hides the drawer's seams. 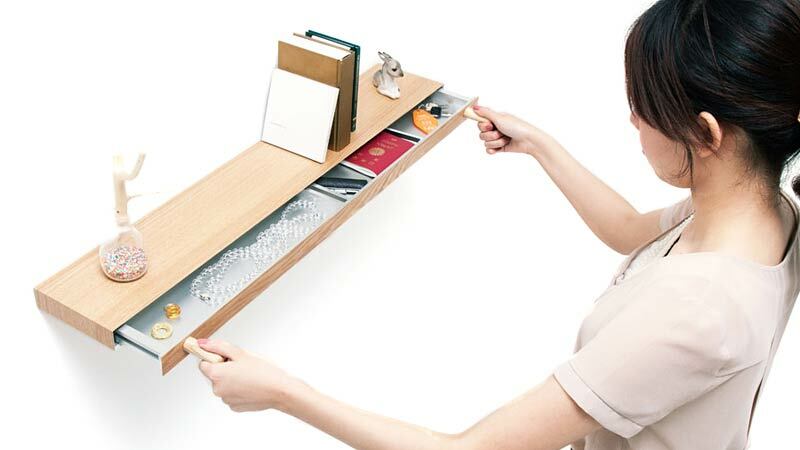 And in lieu of handles that would be a dead giveaway of its alter-ego, the shelf is opened using a set of magnetic 'keys' that easily detach when it's closed. Besides hiding the trashy tomes you enjoy curling up with at night, the shelf also makes for a great place to stash valuables—at least it would if Torafu Architects were to actually put it into production.